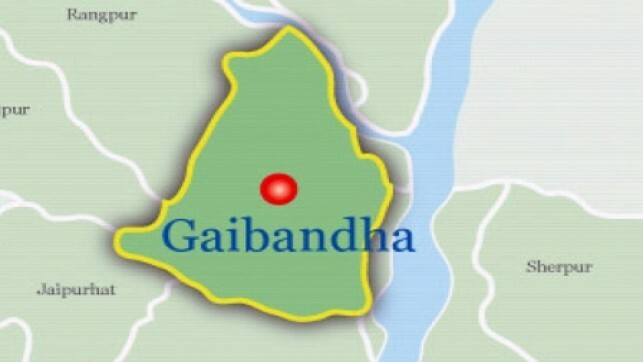 Police recovered the bodies of a man and an auto-rickshaw driver from Sadullapur and Polashbari upazila in Gaibandha on Sunday morning. Borhan Uddin, officer-in-charge of Sadullapur Police Station, said locals spotted the bullet-riddle body of an unidentified man at Bhatgram Pocharbazar Hatikan village and informed it to police. Later, police recovered the body. Meanwhile, police recovered the body of auto-rickshaw driver Bakul Miah from Paschim Nayanpur area of the upazila in the morning, said Mostafizur Rahman, officer-in-charge of Polashbari Police Station. The legs and hands of the victim were tie-up with ropes, he added.